2018 has been a year full of tax reform. If you recall, we wrote an article about some of the changes small business owners could be seeing in the near future, thanks to the Tax Cuts and Jobs Act. Connected to the same law, It was announced this week that businesses can now take advantage of a newly qualified business income deduction. If eligible, you may deduct up to 20 percent of specified business income from American businesses that identified as Sole Proprietorships, Partnerships, S Corporations, Trusts, and Estates in 2018. The new deduction comes as a result of tax reform legislation passed at the end of 2017. Now that businesses are preparing to file for the fiscal year 2018, the IRS decided to issue a reminder for taxpayers, so that the opportunity is fully utilized. If your business is categorized as any of the specifications listed above, then you may be able to take home a little extra money this upcoming tax season. In addition to business income, the 20% deduction will also apply to qualified real estate investment trust dividends and publicly traded partnership income. 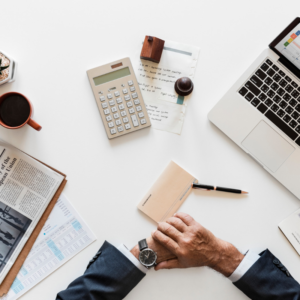 While this is certainly great tax news coming through to your business, it’s important to understand some of the guidelines and stipulations. Most importantly, the deduction will not apply to any income earned through C Corporations, or by providing services as an employee. The IRS defines qualified business income as “the net amount of qualified items of income, gain, deduction and loss connected to a qualified U.S. trade or business.” Additionally, the only items that will be counted towards the deduction will have to be a part of your taxable income. Staying on top of the ins and outs of accounting for your business can cause headaches. At the end of the day, your energy should be spent on focusing on the success of your business, without getting caught up in the details. That’s why it’s so important to have a CPA you can trust. The IRS announces new rules and regulations on almost a daily basis. Let us take care of staying current on your taxes, while you look to the future. If you would like to learn more about the newest IRS tax reforms, speak with our team. For more information on other accounting topics, check out our blog. Previous PostIs It Really The IRS?